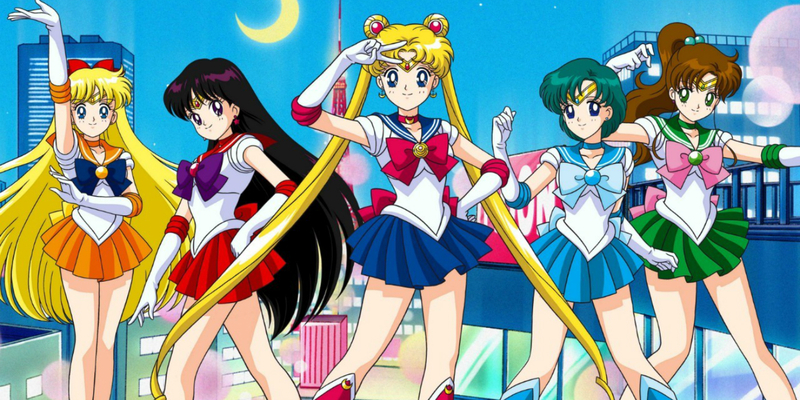 Named for each of the planets in the solar system, Sailor Moon and her Sailor Scouts were a team of superpowered young women in Japan who took the manga and anime worlds by storm in the early nineties. As the manga grew in popularity, the anime was released almost as quickly as new stories were developed, and kids and adults alike loved it. More than 25 years later, Sailor Moon and the Scouts are still so popular that fans continue to cosplay them at conventions, and in 2014, Sailor Moon Crystal created yet another anime adaptation of the manga, giving a new generation the chance to fall in love with the story of the reincarnated heroes who save Tokyo from mysterious threats all over again. Split amongst the inner and outer planets, the Sailor Scouts arrived to the stories in two distinct groups. 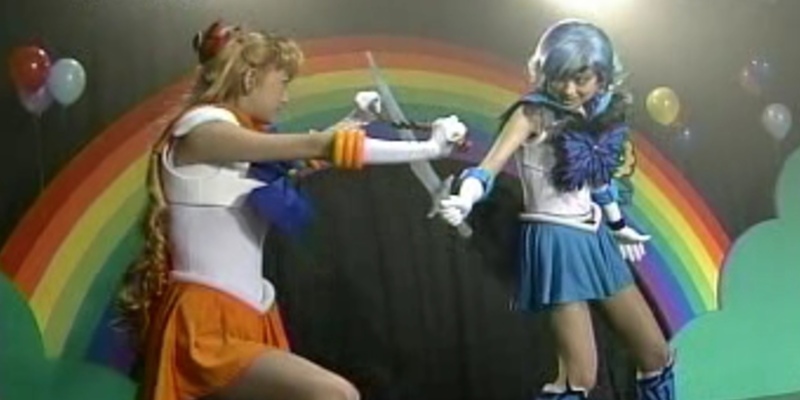 Sailor Mercury AKA Ami Mizuno was the first of the Scouts to unite with titular Sailor Moon to save the day. Audiences knew her the longest, and in some cases, liked her best. Ami was shy, smart, and had an affinity for water, but most audience members were already well aware of that during her first appearance. 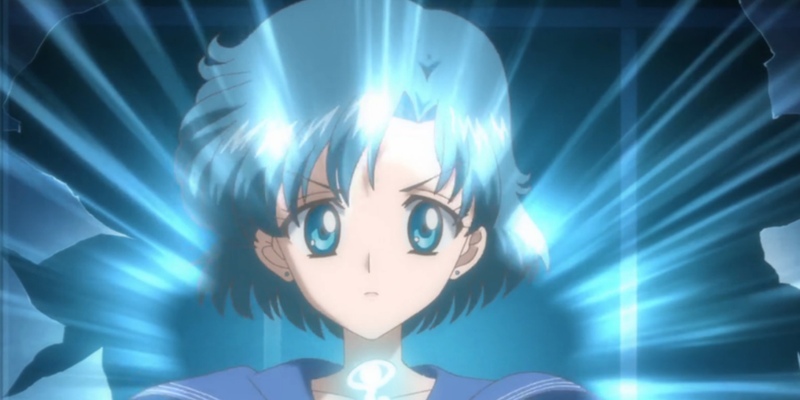 Here are 15 Things You Didn’t Know About Sailor Mercury. The original notes for the Sailor Moon manga created by Naoko Takeuchi had many differences compared to the series that readers know and love today. In addition to the original plan being a Sailor V series, the costumes of the central characters had different accessories as well. That’s not all, though. One of the Sailor Scouts was very different in the initial notes. Takeuchi published her liner notes in various volumes of the manga and revealed one very interesting fact about her initial notes for Ami. 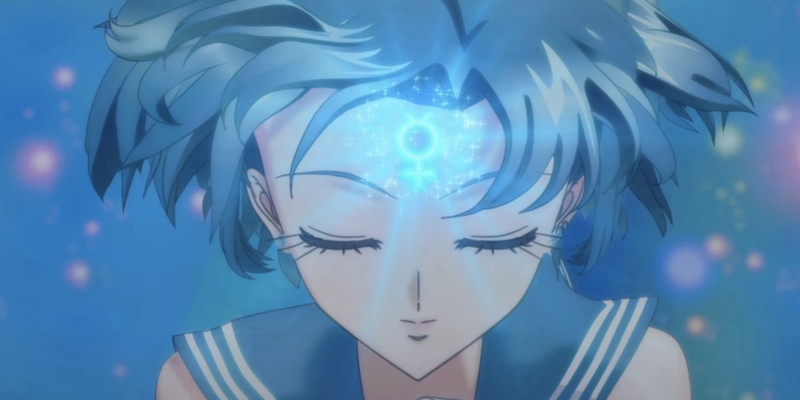 Before Ami was fleshed out, Sailor Mercury wasn’t a teenage girl with a genius level IQ. Instead, she was a cyborg, which is why she was so smart and good with technology. 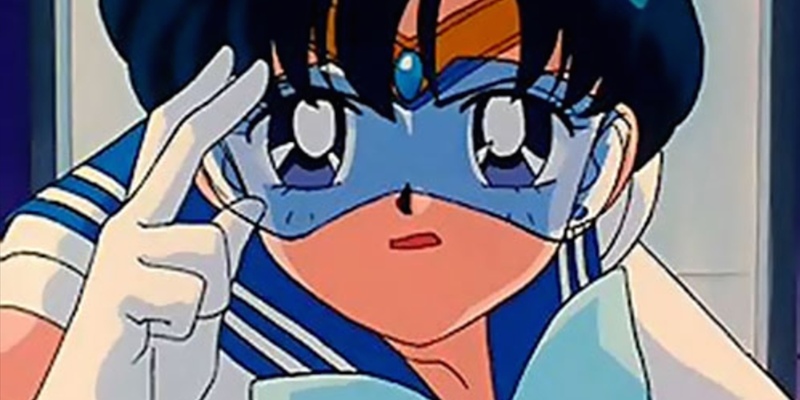 Takeuchi’s plan was to have Cyborg Sailor Mercury be killed in the final battle of the first manga arc, her cybernetic limbs removed one by one until she was destroyed. Takeuchi’s editor nixed the idea with the instructions that none of the girls were allowed to die and that robots were out of place. Ironically, the first season of the anime, which followed the first manga arc, did see all of the Sailor Scouts perish at the hands of Queen Beryl’s minions. Of course, they were then reincarnated for another adventure in a new season. It’s not uncommon for creators to be inspired by someone in their own life when they create characters. J.K. Rowling’s Harry Potter characters, for example, have several traits borrowed from people she knew. 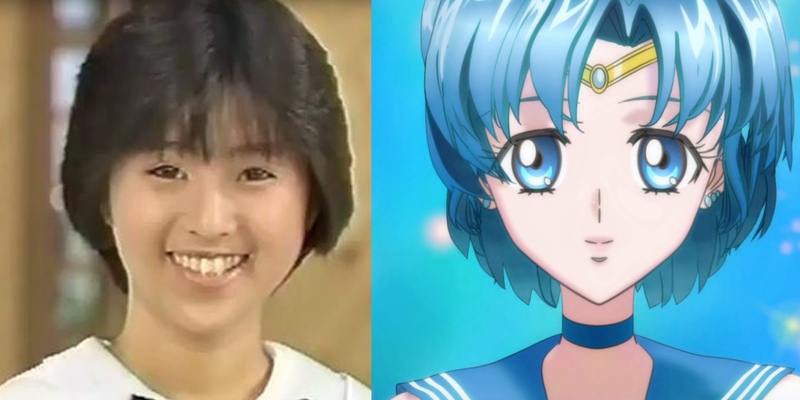 In the case of Sailor Mercury, though, Takeuchi was inspired by someone with a little more public appeal. Noriko Sakai was a pop star in Japan in the '90s, having made her debut in the entertainment industry at just 15 in 1986. She also appeared in films and television shows in the early 2000s. Popular across several Asian countries outside of Japan, she participated in several concert tours before turning her attention solely to acting, and then dropping off the radar. After a drug scandal in 2007, she’s pretty much kept her head down. Back in the late '80s, Sakai she sported a distinctive look that Sailor Mercury fans will recognize. Her bob-like hairstyle from when her career was just taking off is what Takeuchi used to create the basis of Ami’s look. 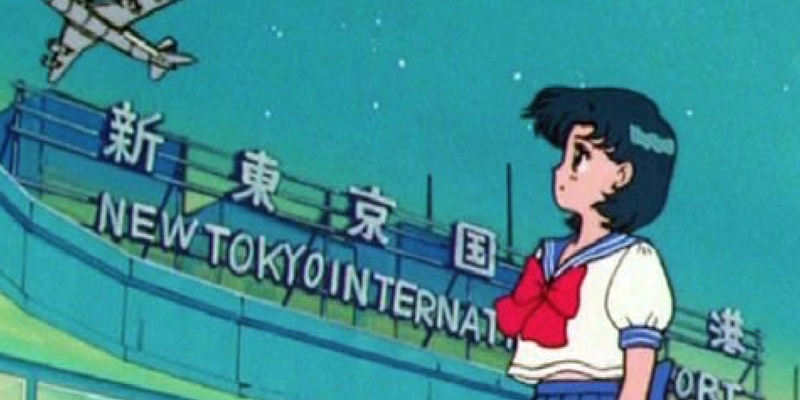 When Sailor Moon SuperS debuted in theaters in Japan, a short film ran ahead of it that was roughly 16 minutes long and took the spotlight away from Sailor Moon, placing it squarely on Sailor Mercury. More accurately, it focused on Ami in her civilian quest to get the highest scores on her practice high school entrance exams. Ami, who has always been the smartest and scholastically dedicated of her group of friends, was intent on getting the top scores, but someone under the pseudonym Mercurius kept tying her for the top spot. Ami immediately jumped to the conclusion that this rival of hers might have been a new enemy, and spent all of her time obsessing about beating him, even signing up for new classes. Her obsession became a crush on someone she had never met, leading to a spirit called Bonnon to target her. The short is relatively faithful to the manga story on which it’s based. Originally published as a side story and not its own manga volume, “Ami-chan’s First Love” was part of a series of three Exam Battle stories that appeared in the manga magazine RunRun before showing up in the Sailor Moon manga. It’s the only one of those stories to get its own anime special. 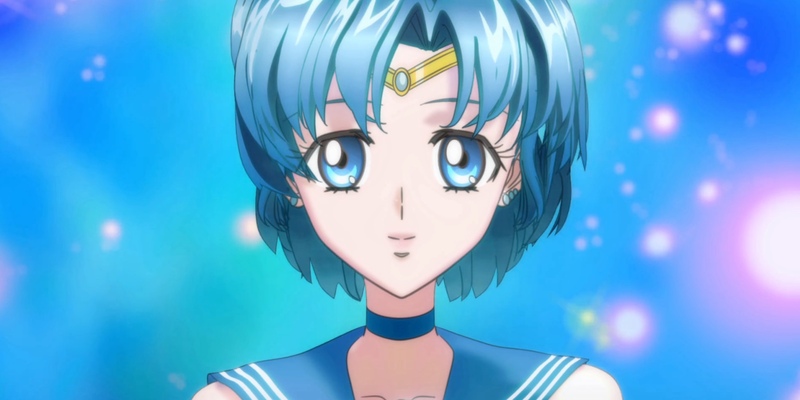 When both the manga and the anime begin, most of the abilities Ami has as Sailor Mercury are defensive. For example, she’s able to manipulate water to create a mist to obscure her enemies. Her abilities, however, don’t lend themselves to offensive maneuvers until much later. As a result, it’s rare for Ami to take on a villain alone, much less be the one to use the finishing blow. For most of the early fights, that honor goes to Sailor Moon. 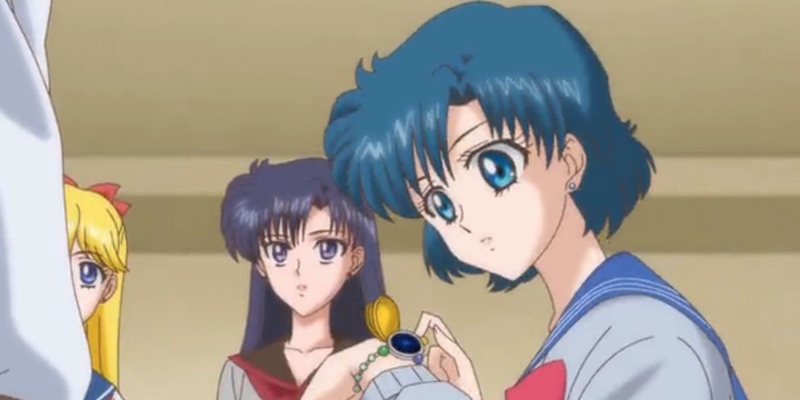 While Sailor Mercury did defeat a few foot soldiers of the Big Bads on her own later in the series, there’s only one time she managed to defeat a bigger villain alone - in “Ami’s First Love.” While Ami believed the person targeting her was her academic rival Mercurius, it was really the spirit Bonnon, who honed in on people’s desires and exploited them. In Ami’s case, Bonnon attacked while she was already weak from obsessively trying to beat Mercurius. While American audiences might consistently have a thing for their TV bad girls (and guys), polls of anime audiences in Japan had a very different result. Over the years that Sailor Moon aired, there was a clear frontrunner amongst the audience: Ami. One anime magazine in particular that polled its readers every year was Animage. The Japanese magazine asked its readers for their favorite anime characters monthly and published the results. While Ami and Usagi were equally popular in mid-1992, for some reason, Ami saw a jump in popularity later that year. She jumped several spots in the poll by September to overtake Usagi among the Sailor Scouts, and remained popular among all anime characters over the next few years. Her popularity didn’t start dropping until 1996, but she remained in the top 10, while Usagi herself dropped out of the poll results completely. There are a lot of theories as to why Ami was so popular with anime watchers as the show gained more notoriety, but the strongest is that Ami is the perfect example of the sort of students Japan prizes. She puts her studies first unless the world is in danger and she’s incredibly loyal to the people around her. Shy and smart, Ami was likely very similar to the teens and university students who were voting for her. The Sailor Scouts spent more than 60 episodes standing together and nearly sacrificing their lives to the forces of darkness before the possibility of one of them leaving the anime popped up. Instead of one of the girls having to make a move with their family, or a similar storyline that most television series aimed at teens would grasp, in Sailor Moon, Ami was offered a scholarship to study in Germany. Rei was the first to voice her support for Ami , who’d been working hard in school to become a doctor one day. Going to Germany to study would have allowed her to follow that path. As her friends finally gave her their blessing, Ami left for the airport, but that’s as far as she got, opting to turn around and continue to help her friends save the world and pursue a medical career at a later date. The decision to have Ami receive a scholarship from a school in Germany might have seemed strange to American audiences when the English dub made its way across the ocean, but for Japanese audiences, it made perfect sense. Though Japanese students are required to study English in school, up until the mid nineties, German was also recommended for those pursuing medicine since many patient notes were written in German so that the average Japanese citizen couldn’t read them. Most fictional teenagers would be intrigued by a love letter found in their locker, but most fictional teenagers aren’t Ami. Instead of being excited at the attention or, at the very least, interested in who might have left it, Ami breaks out in hives in “Ami-chan’s First Love.” For the anime’s take, she turns bright red and screams at the notion, later declaring that love isn’t even in her dictionary. 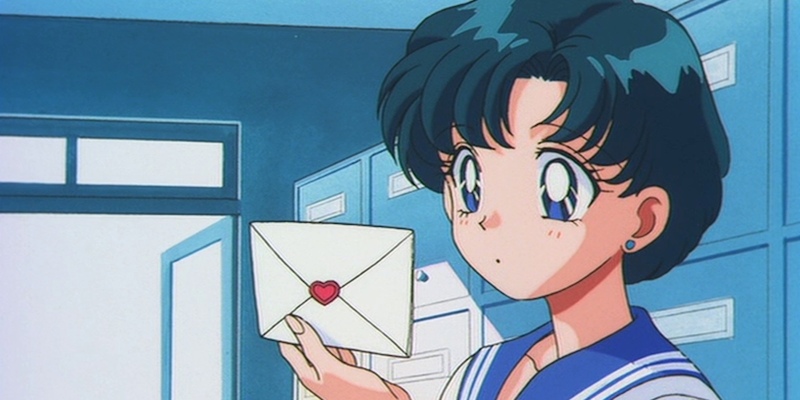 The other Scouts all agree they’d love to have the problem of receiving a love letter, even if Ami has some sort of aversion to them. In the manga, her reaction is explained away as stress, but in the anime, she decides to focus on academics. 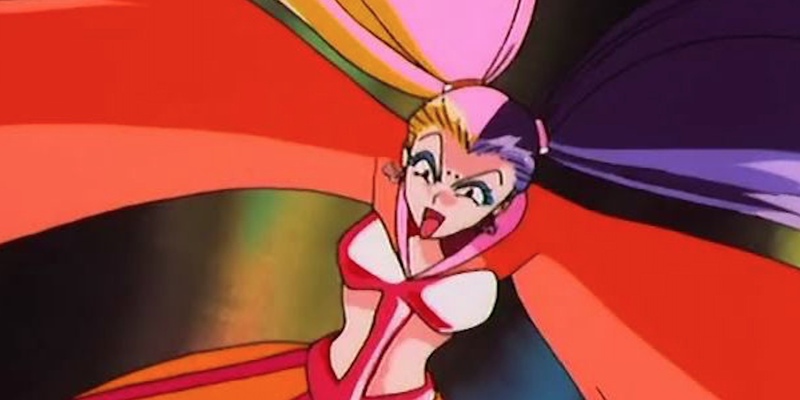 While the reaction seems extreme at first, maybe it’s not so far off the mark since the spirit that comes after her later, Bonnon, actually uses a “love letter attack” on the unsuspecting Sailor Scout. She throws a series of love letters at her, surrounding Ami and making her temporarily immobile while Bannon tries to drain her energy and make her focus solely on her desires instead of any practical ideas. The Sailor Scouts all have items that help them fight evil; their transformation pens, star power sticks, and crystal change rods. The group also has communicators they use to keep in touch when they aren’t in the middle of a fight. Beyond that, each of the Scouts have their own specialized equipment. Sailor Mercury’s isn’t rooted in magic like most of the other Scouts, though. Instead, hers is based in technology. 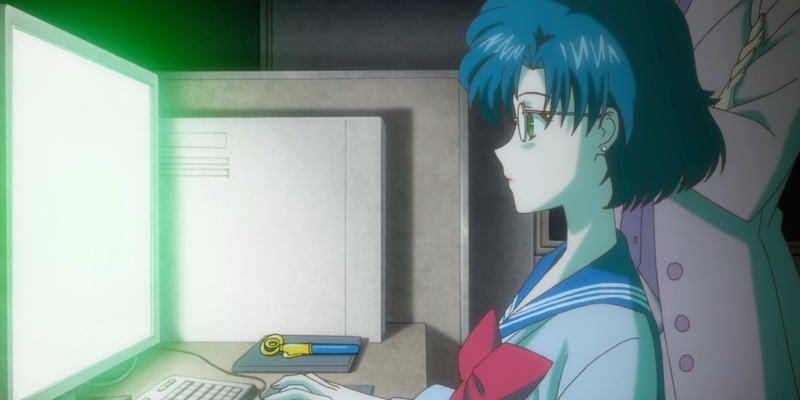 Sailor Mercury is the only one to have her own personal computer that she can use to analyze the enemy in the midst of the fight. It can also be used instead of a communicator to contact the other Sailor Scouts, though in the manga, she actually has a microphone attached to one of her earrings that does the same job. She used the computer a lot early on in the anime, though over time, there was less need for it. After the first season, it was rarely seen at all. She also had goggles or a “virtual reality visor” that could be used to analyze the events going on in front of her. Initially, they were used in conjunction with the computer. In the anime, the visor essentially replaced her computer before both dropped out of use completely, though they were used in the manga. She could easily access the visor simply by touching one of her earrings. 7. 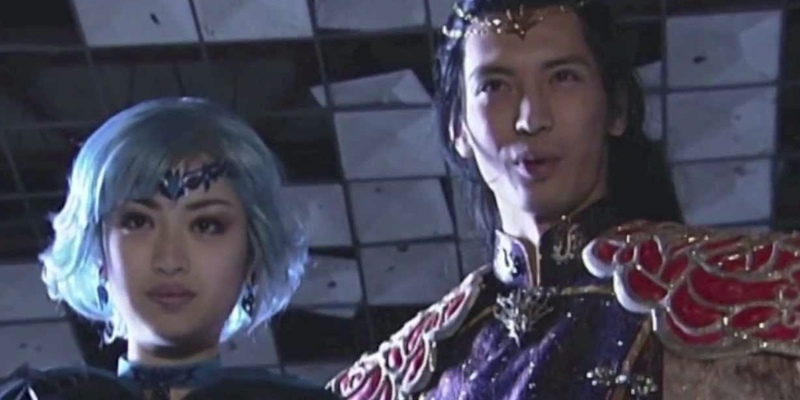 There Was A Live-Action "Dark Mercury"
In 2003, a live-action version of the Sailor Moon story debuted on television in Japan. Despite the large international fanbase for the manga and anime series, the live-action show has never been broadcast outside of Japan. That hasn’t stopped dedicated fans from trying to track episodes down on the internet to see just how different it was from the other versions of the story. One big difference? Sailor Mercury ends up evil for a few episodes as “Dark Mercury,” affectionately referred to as “Darkury” by the cast and production team. Ami didn’t make the choice to turn to the dark side, of course. Instead, the Sailor Scout was captured by Kunzite in episode 21, not long after all five of the Inner Sailor Scouts were finally united, and exposed to the evil Queen Metalia’s powers. The exposure to the darkness preyed on the loneliness she felt as part of the Sailor Scouts, something the anime didn’t touch on beyond her wanting to achieve in school. Though Dark Mercury might have been touched by evil, many of Ami’s old characteristics remained, like her desire to be liked and do well. She brainwashed her classmates and continued achieving high marks on exams while battling the Sailor Scouts in her spare time. Her goal was to eliminate them and use their powers to make herself stronger, though eventually, watching her friends become injured in a fight woke up the “real Ami” under the surface and she became her old self again. Since Ami is usually the strategist of the group, she doesn’t have a lot of opportunities to play offense in a fight. She analyzes the opponents, trying to find a weak spot. She makes the plans. Her chief ability is usually obscuring the vision of whomever the Scouts are up against, whether it’s with mist or snow or another water-based substance. She can’t play defense forever and “Shine Aqua Illusion” is where she gets to fight back. “Shine Aqua Illusion” was first used in the R season of the anime. 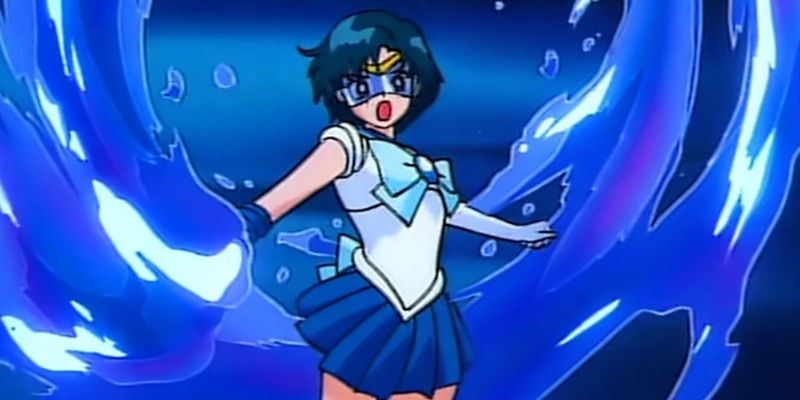 When Sailor Mercury first employed it, she sent out a blast of water that disabled her enemy. Rather than give her two separate abilities, though, the attack was used to either destroy or freeze the bad guys as the show went on - depending on the episode. (In the manga, she actually used this ability to create ice barriers and projectiles instead.) She would only gain two more abilities that were more powerful than it, one of which would only be used one time in the anime. The ability that she only uses once in the anime is her “Mercury Aqua Mirage” - used in her special during her first time defeating a villain on her own. Outside of the special, it never made another appearance. She also had abilities she only used once in the manga and the live action series. In the manga, her one-hit-wonder is “Hyperspatial Sphere Generate,” which is much as a it sounds, creating a sphere around a place to keep it safe. In Ami’s case, she uses it to protect the girls’ favorite hangout, the Game Center Crown, from being destroyed, but she never pulls this particular party trick out again. Because the Sailor Moon stories have been adapted across so many different platforms, there are plenty of differences to make them stand out from the original manga and still give fans fun surprises that are in line with what the character can do. Sailor Mercury’s abilities, in addition to her being the one most adept with technology, involve manipulation of water in all its forms. As she becomes more powerful, she can adapt it to colder, and therefore more solid, states. The live-action series played with this ability and actually allowed her to create a weapon. In Pretty Guardian Sailor Moon, Sailor Mercury is able to manipulate a standing pool of water to create a solid sword that she can use against her enemies. She only has to create it once, and then she’s able to use it repeatedly throughout the rest of the series. The anime and the manga both saw her skill set progress to the point that she could manipulate ice, but never to the point that she could create solid objects out of it to use every time she transformed. Though Sailor Mercury already has different abilities in the manga and anime, the video games introduced even more skills for her. In total, she had nine abilities across the series of video games that are unique for the playable stories. In the Sailor Moon arcade game, Sailor Mercury required multiple crystals to power up for each of her attacks, which included “Crash Launcher,” “Mirage Wave,” and “Shine Aqua Cutter” - the latter of which involved blades of water that surrounded her waist and attacked her enemies. Sailor Moon for Mega Drive introduced the “Break Step” and “Aqua Ribbon Upper,” which were really more movement-based than special abilities. 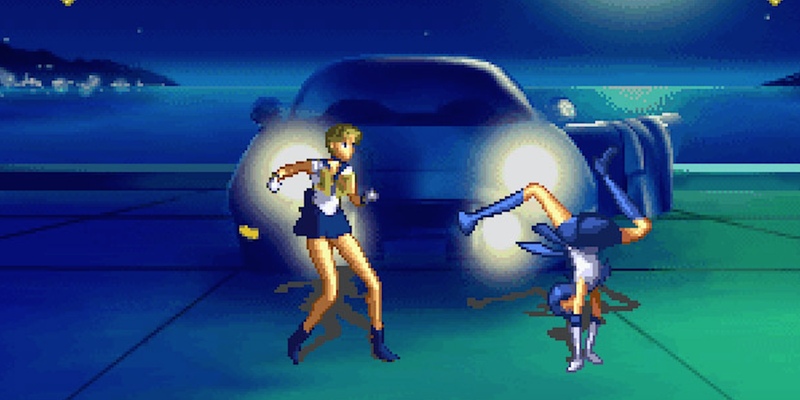 Later games also employed the “Reverse Break Step,” “Reverse Spin Kick,” “Water Stream,” and “Water Bullet.” The latter was actually Sailor Mercury’s most desperate of moves for the Sailor Moon S and Sailor Moon SuperS games. She would stand on her hands and jump in the direction of her opponent, but the move was only usable when most of her life was lost. The “Water Stream,” on the other hand, was used to blast water in two different directions instead of aiming at a single target the way most of her attacks in the anime did. This could have been seriously useful for the character in the manga or the show. The English dubs of the Sailor Moon anime series are a little bit more ambiguous about whether or not the Sailor Scouts actually kill any of the monsters, evil spirits, or general bad guys that they “destroy” on an episodic basis. There was a lot of editing out of blood and lots of flashy explosions to make it unclear just what happened to them. The original anime, and even the manga, was a little more blatant about these teenage girls killing the bad guys when necessary. But just because Ami was willing to assist in the fight didn’t mean she was willing to end an innocent life as collateral damage. Take, for example, the introduction of Hotaru. Though Hotaru was a friend of Chibi-usa’s and a general sweetheart, she was also being used for something much darker: the Messiah of Silence. 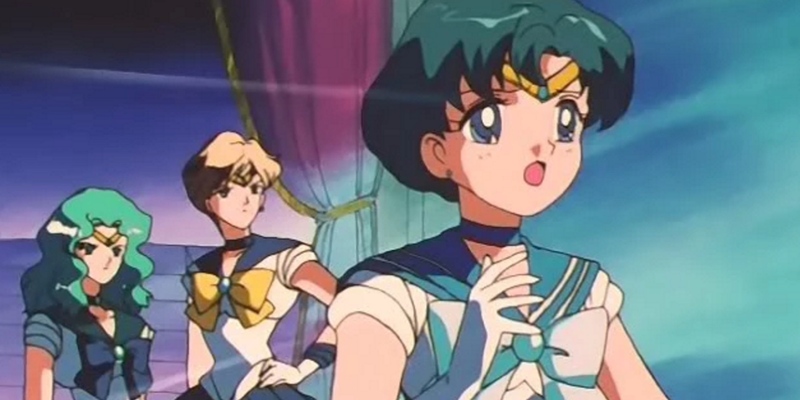 Sailors Neptune and Uranus wanted to kill Hotaru in the anime episode "Believe in Love! Ami, a Kind Hearted Soldier” in order to put an end to the evil, but Ami was against it and stopped them mid-fight. It was Ami who led the charge to persuade the duo to spare her, and though they blamed her when Hotaru got away, they also thanked her for saving their lives. The Japanese characters that create the word “suisei” actually translate to “water star,” which is fitting for Sailor Mercury since all of her abilities are water-based - even though the planet is closest to the sun and likely the driest. Her character borrows more from the Roman myths involving the messenger god Mercury than you might think. Ami has a harp that is used in both the Sailor Moon manga and the live-action series during attacks. While in the manga the harp actually has a personality and can talk to her, it doesn’t do that anywhere else. It also makes a few appearances in the anime, though it’s less common there. The harp has a design based on a lyre, which makes sense if you know that the Roman god Mercury invented it in ancient myths. Mercury was also awarded a magic wand by another god at one point in ancient stories, which turned into the caduceus, the symbol of modern medicine - perfect to be associated with Ami, who wants to be a doctor. When it comes to Western Astrology, Ami has been revealed to be a Virgo on the show. While Virgo isn’t one of the astrological signs that falls under the water umbrella (it’s an earth sign), the sign is ruled by the planet Mercury, giving the character yet another connection to the planet that gives her superpowers. Did you learn anything knew about Sailor Mercury? Or is there even more to learn that we missed out on? Let us know in the comments!